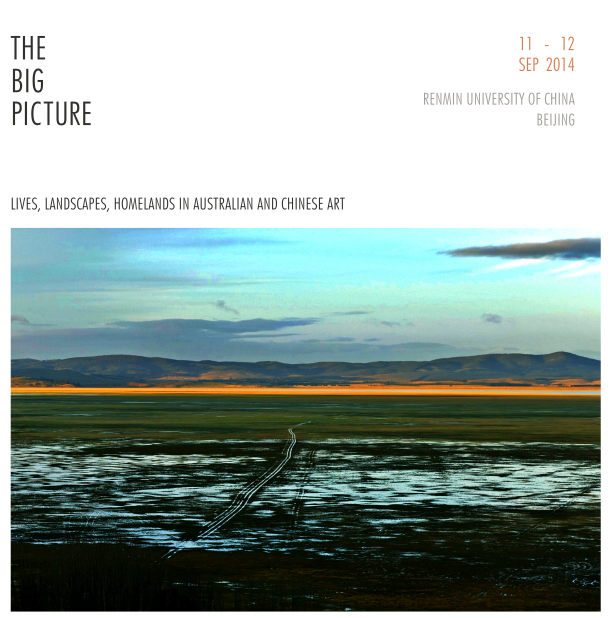 The Foundation for Australian Studies in China (FASIC), and the Australian Studies Centre at Renmin University, are pleased to present the 2nd FASIC Australian Studies in China Conference, The Big Picture: Lives, Landscapes, Homelands in Australian and Chinese Art. The conference is designed to stimulate discussion in a field that has become increasingly important to both Australia and China, but which has not received the kind of attention it deserves within the broader Australian Studies community in China. The conference will address artistic practices and exchanges, the role and function of the cultural industries and changing perceptions of identity, place and belonging. It will be the first event of this scale focusing specifically on the China-Australia arts relationship to be held in China, and will bring together a leading lineup of Australian and Chinese artists, curators, gallery directors, academics and cultural thinkers. They will share their insights over two days of panel discussions, keynote presentations, interviews and special performances and exhibitions, running on Thursday 11 and Friday 12 September at Renmin University. Additional public talks will also run on Saturday September 13 at the Red Gate Gallery and Capital M Restaurant in Beijing. Program highlights include keynote presentations by previous Director of the Art Gallery of NSW, Edmund Capon, AM, OBE, on ‘Understanding and Defining Australia through Art’, and Prof Julianne Schultz, AM, FAHA, Editor of the Griffith REVIEW, on ‘The Uses of Culture’. The program will also feature a special performance by acclaimed Australian photographer and storytelling artist William Yang. Previous Previous post: Melbourne Art Fair panel: Asian Perspectives on Contemporary Art.